Day four of our 2017 summer vacation saw us leaving Munich on a train to Plzeň (Pilsen) in the Czech Republic (Czechia). 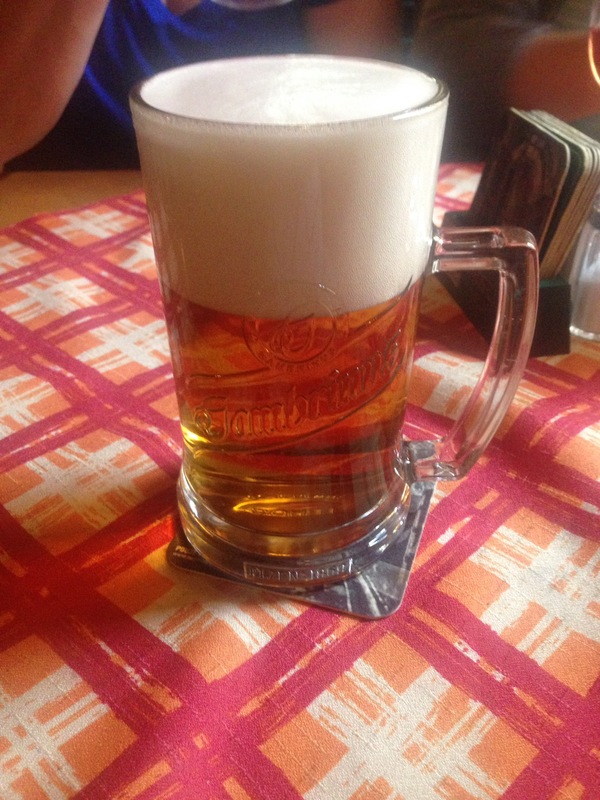 Pilsen is the birthplace of Pilsner beer. In the weeks prior to our trip, on my weekly Wednesday beer nights with former co-workers, I would see this sign posted in the men’s room and start thinking about my upcoming trip to Pilsen! The train ride from Munich took around four hours and had six scheduled stops: Landshut, Regensburg, Schwandorf, Cham (Oberpf), and Furth Im Wald in Germany, and Domazlice in the Czech Republic before we arrived in Pilsen. I took the unopened bottles of beer I had purchased at the Lidl grocery store and the beer store in Munich with me on the train. Once we arrived in Pilsen, we walked from the train station to our AirBnB on Americká – a street that is the continuation of Šumavská street that runs past the train station. Our lodging was on the fourth floor of a building just east of the Radbuza River. The first thing we did after we checked in was to go walk back towards the train station to go to the nearby Tesco to pick up some extra towels, some toiletries, and some food for breakfast and snacks. In the grocery section of the store, I was interested in seeing the beer selection. Some of the beer available at Tesco. Note that a two liter bottle cost about 26 crowns – about one dollar! Our purchases made, we headed back to the flat we were staying in to figure out our dinner plans. 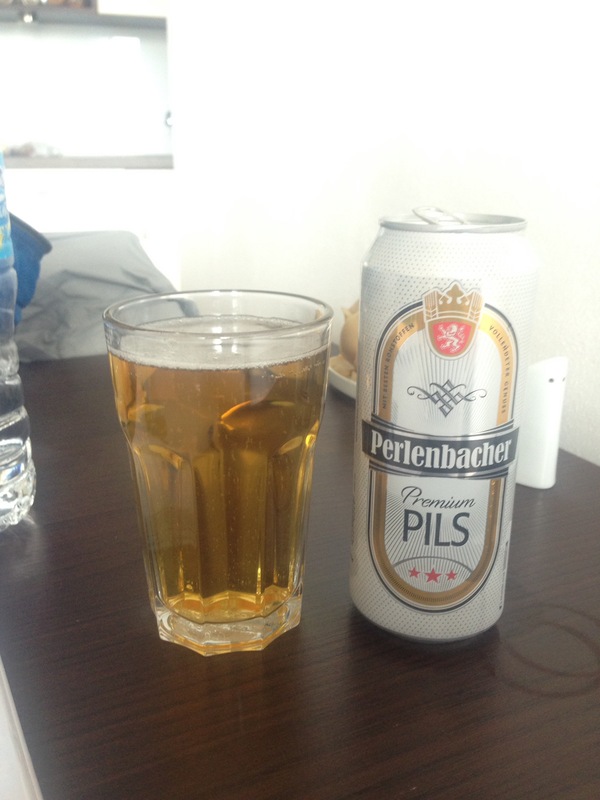 I decided to drink one of the beers I brought with me from Munich. I purchased this at the Lidl grocery store. There was nothing to indicate that this beer is apparently Lidl’s own brand that is produced by contract brewers for sale in their stores. Since it is brewed under contract, the product won’ show up on the brewery websites, though the Franfurter Brauhaus does have links connecting to information about their contract brewing services. According to Untappd, Lidl has over thirty different beers that are contract brewed for them. We then headed out to dinner at Restaurace Žumbera for dinner. There were five beers on tap. 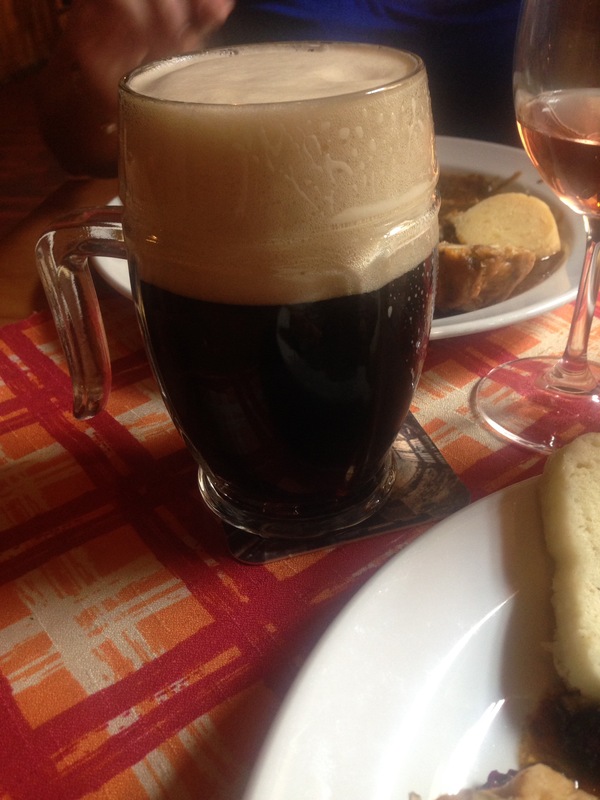 …and a beer that was being advertised in the restaurant on table tents. Master Divoký Ležák. Roughly translates to “Only in July. Wild lager made with Kazbek hops originating from the harsh Caucasus mountains. I’m not sure if the hops were wild Kazbek hops, or what the intent is here – something is obviously lost in translation. The Lower Caucasus is considered to be the home of hops, where hops are still growing today. An unusual combination of this robust, wild Caucasian hops with a noble Czech has created a variety named after Mount Kazbek. She gave our lager a harsh spicy aroma with delicate notes of citrus. So it appears I’m not too far off on my translation. I was surprised and interested in trying this beer since I had already purchased ingredients to make a Czech Pilsner with Kazbek hops after I got back from vacation. After dinner, we took a walk around Pilsen to get our bearings before we returned back to our flat for the night. 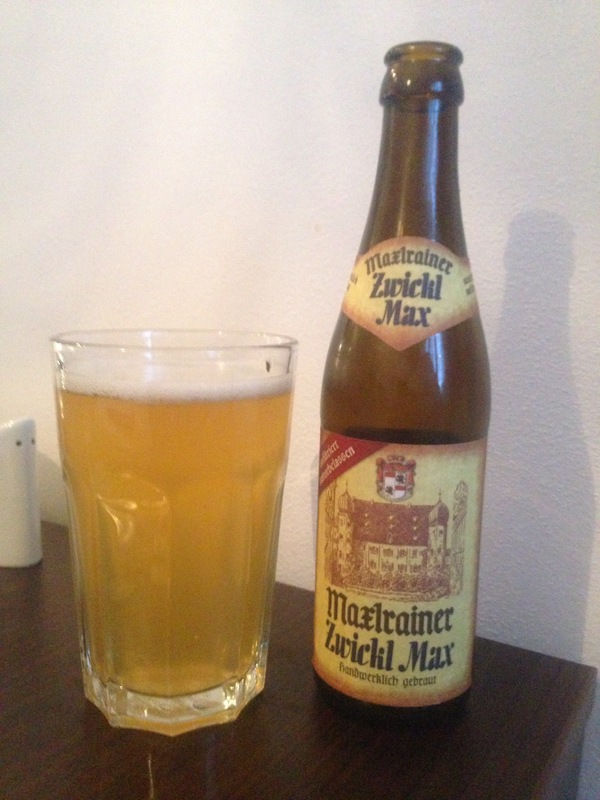 I had another of the beers I brought with me from Munich: Maxlrainer Zwickl Max. 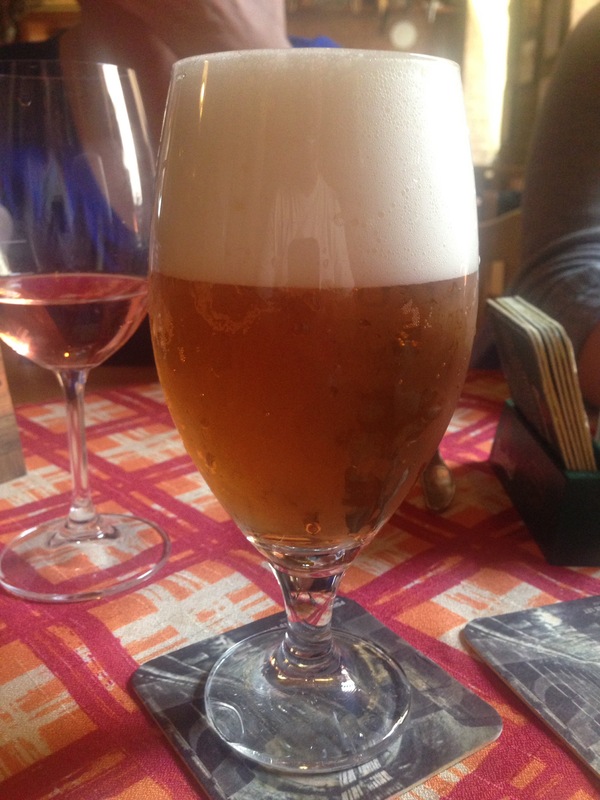 This entry was posted in Commercial Beer, Czech Republic, Gambrinus nepasterizovarý ležák, Kozel černý, Lidl Lidl Deutschland, Master Divoký ležák, Perlenbacher Premium Pils, Pilsen, Pivovar Velké Popovice, Plzeňský Prazdroj, Schlossbrauerei Maxlrain, Vacation Beer, Zwickl Max and tagged Gambrinus nepasterizovarý ležák, Kozel černý, Master Divoký ležák, Maxlrainer Zwickl Max, Perlenbacher Premium Pils, v. Bookmark the permalink.